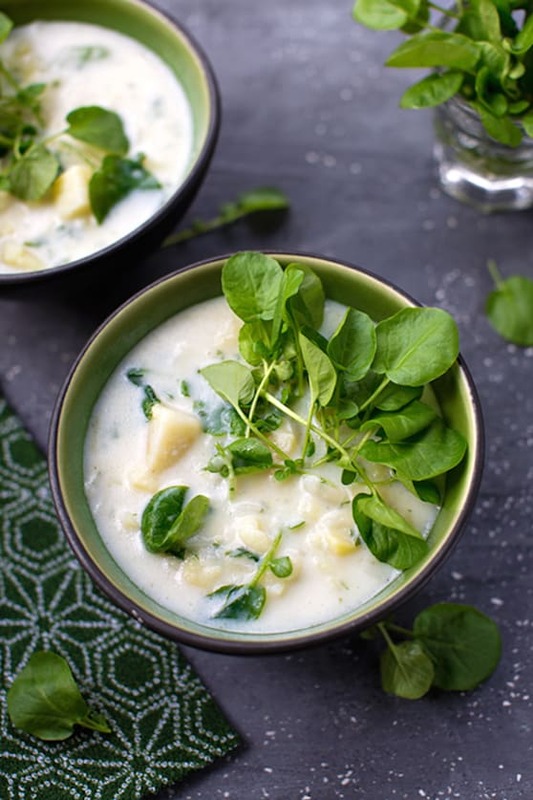 Peppery, bright green watercress adds a touch of spring to a classic leek and potato soup. If you can make this the night before it’s needed, so much the better, as the flavors improve from standing overnight. Add the all the watercress when reheating. Photos by Hannah Kaminsky. 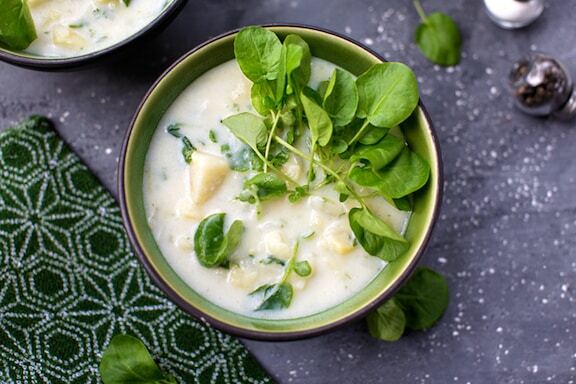 Peppery, bright green watercress adds a touch of spring to a classic leek and potato soup. If you can make this the night before it’s needed, so much the better, as the flavors improve from standing overnight. Heat the oil in a large soup pot. Add the leeks and sauté over medium heat, covered, until they just begin to turn golden. Stir occasionally. Add the potatoes, bay leaf, bouillon cubes, and just enough water to cover. Bring to a simmer, then simmer gently, covered, until the potatoes are tender, about 15 to 20 minutes. Mash some of the potatoes against the side of the pot with the side of a spoon. Add the watercress and rice milk and simmer over very low heat for 10 minutes longer. Season with salt and pepper. 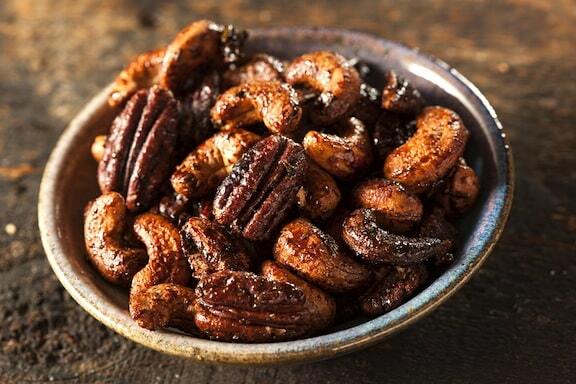 Allow to stand off the heat for an hour or two before serving, or let cool and refrigerate overnight. Heat through before serving. Stir in the parsley. If needed, adjust the consistency with more rice milk, then adjust the seasonings. 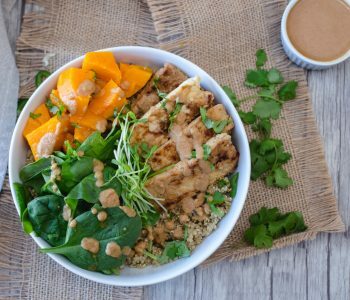 Serve, garnishing each bowlful with a generous amount of watercress. 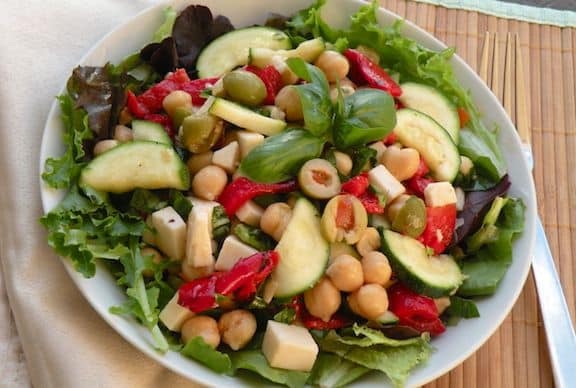 Here are more recipes for Leafy Spring Greens. 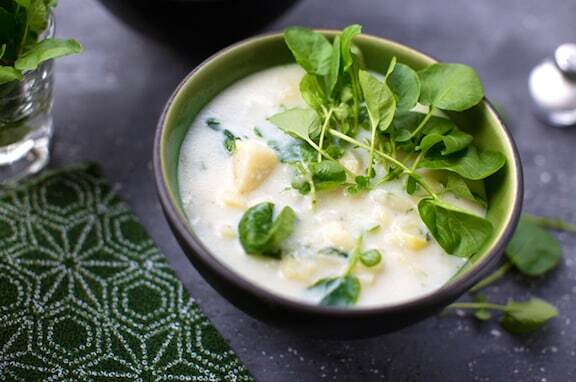 Explore other delicious vegan soup recipes at Soulful Soups. Susie, I much prefer the more neutral flavor of plain rice milk in soups. It doesn’t curdle, and really blends nicely with all the flavors. I’m not a fan of leeks, but there are so many recipes I wish to try that use them. 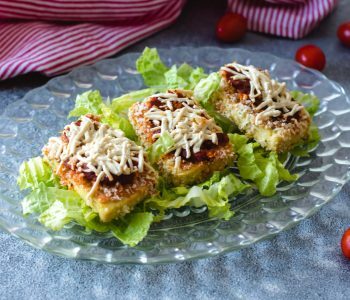 Is there a good alternative to leeks that provides the same texture? You can use ordinary onions (or red or Vidalia onions); though I wonder if it’s the onion-y taste of leeks or just the texture…without any onion in the base, this simple, mild soup would be rather flat. Hope that helps! HI! I saw you on “Niki’s Simple Life” meet and greet. Your photos are stunning! I’ve been blogging less than 6 months and my photos are definitely progressing, but I still have so much room to grow! Any suggestions? Do you use any online editing programs for your photos? Again, these look amazing!